The second graduation ceremony of Depilex College of Cosmetology was held on 1st October, 2018 under the patronage of Punjab Skills Development Fund. Hira Mansoor (Management Associate) and Faiza Akram (Management Associate). On this event, 190 beauticians were awarded with their certificates under the scholarship program in collaboration with Punjab Skills Development Fund. The program aims to provide free of cost beautician courses to the low-income women of Pakistan, focused on self-grooming, make-up, hair styling, skin aesthetics, etc. 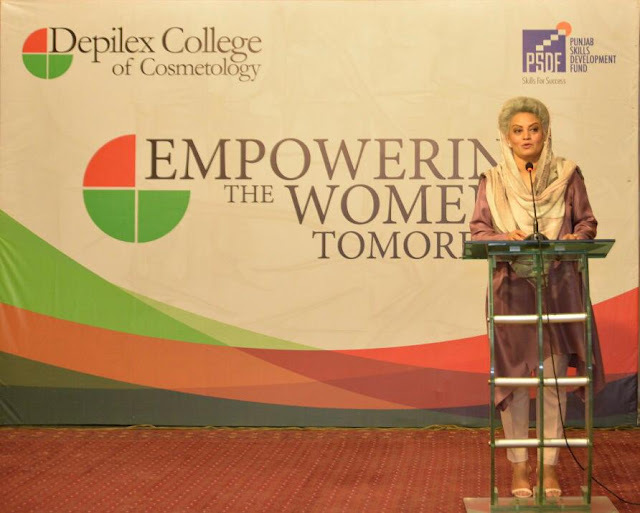 The rich legacy of Depilex Beauty Clinic and Institute started in the year 1980, at a single premise that today is an empire with over 70 locations nationwide, making Depilex the first and largest chain of salons in Pakistan. From the time it opened its doors, Depilex paved the way for the creation of a professionalized beauty industry having worked with and trained leading names. Depilex represents empowerment, innovation and the exceptional vision of Masarrat Misbah.